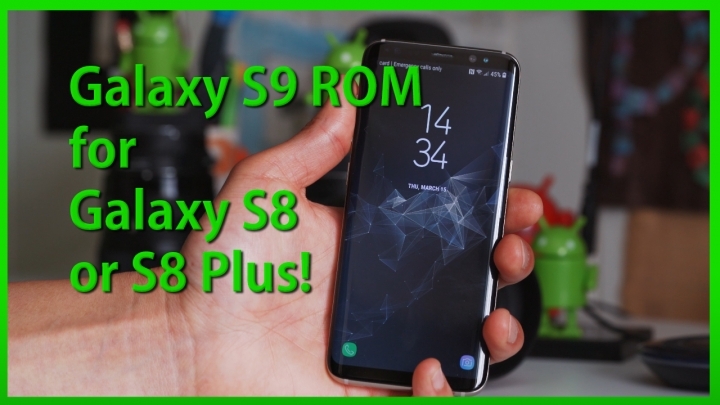 Galaxy S9 ROM for Galaxy S8/S8 Plus! For those of you who want to get Galaxy S9 ROM on your Galaxy S8 or S8 Plus, I do highly recommend using the Alexis ROM, which is a “full port” of a real Galaxy S9 Plus. What is a full port? 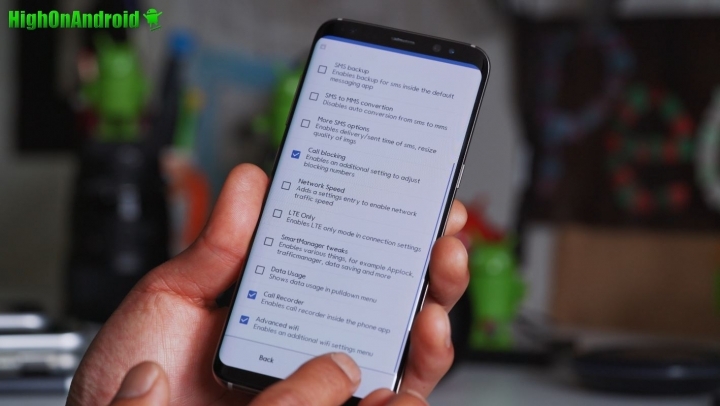 Basically, all of the software has been slightly modified to work on older devices like Galaxy S8 or S8 Plus. And best of all this ROM works on both Galaxy S8 or S8 Plus. Of course, you WILL need an exyno-based Galaxy S8/S8 Plus with an unlocked bootloader. No, it will NOT WORK on any Snapdragon models such as all U.S. models(sorry, Samsung blocked it on purpose I have no idea why). Does this ROM turn my Galaxy S8 or S8 Plus in to a Galaxy S9? Absolutely, as far as software goes, you get 100% identical software as you would get on a real Samsung Galaxy S9 or S9 Plus. Now, there are few things not working at the moment such as Intelligent Scan and S9 camera but these should eventually get ported also, I should have an update when that happens. Performance is excellent on this ROM, I was able to get above 200K scores on Aututu, which is almost 10% higher than you would get on any S8/S8+ stock firmware. And yes, you get all the S9 wallpapers including the new S9 Infinity wallpapers along with a slew of customization options. Using its AROMA installer, you can decide to install/remove any apps you want or don’t want. For example, if you don’t use Gear VR, you can choose to leave it out completely or even not install any Samsung apps. You will also find lots of cool features like native SMS backup option, call blocking, call recorder, advanced wifi, dual speaker mod, and much much more. Overall, this is probably the best Galaxy S9 ROM out yet so definitely give it a go if you have a phone that is supported. To install this ROM, you will need to have TWRP recovery installed! If you do not know how to do this, simply follow How to Root Galaxy S8/S8 Plus! For installation instructions, please follow the video tutorial above but basically reboot into TWRP, do a factory reset, install ROM, reboot. Sign in to your phone, reboot into TWRP, then install the 2 fixes then reboot. That’s it! I have been on the Alexis Rom now for several weeks and I agree that it is fantastic. However, I never could get anywhere near an Antutu score of 200. Ca. 180 is what I usually get with my S8plus. will this work on my s8 model number SM-G955U? Hello, the intelligent scan is not working, it recognizes nothing, how to fix? Next story Galaxy S9/S9+ Cases from Spigen!